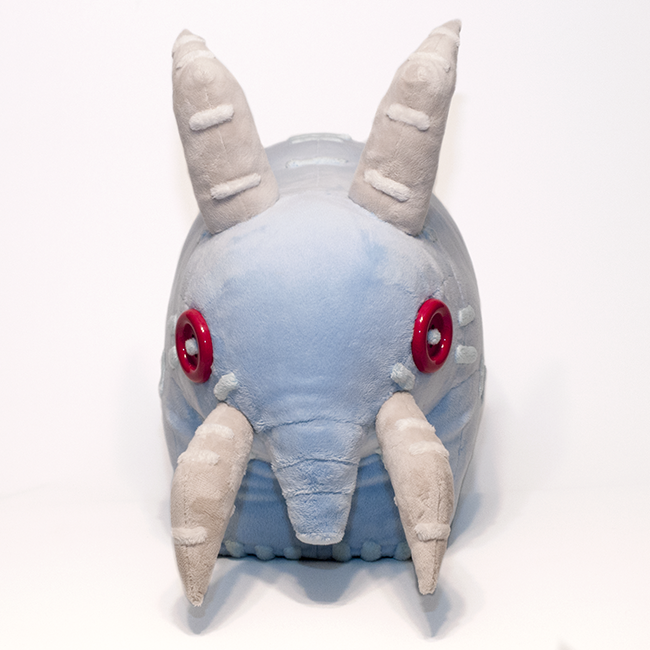 A lifesize, cosplay appropriate plushie of the adorable Elekk Plushie, a battle pet crafted with tailoring in the popular game World of Warcraft. Someday he hopes to be a real elekk! 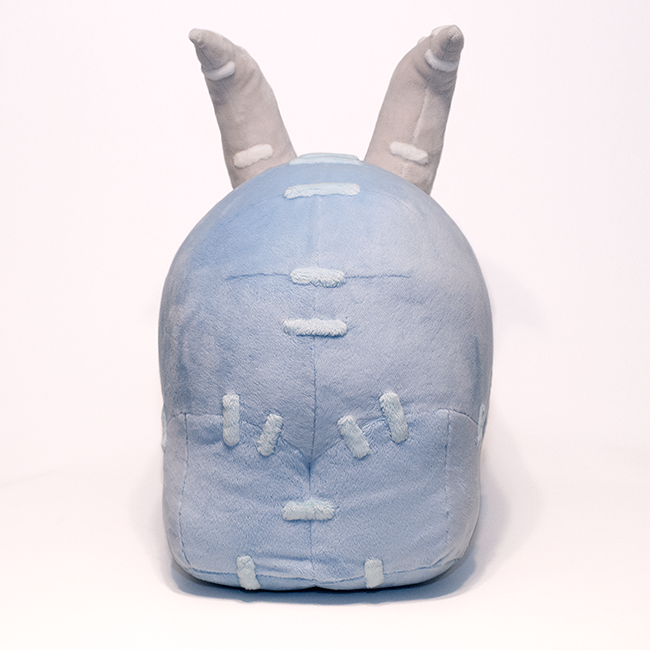 Made with minky for a soft and cuddly touch, with large plastic button eyes to enhance his adorable plushie aesthetic, which are stitched and securely glued in place. He very rotund, and weighs almost 2 lbs, mostly from his dense, high quality stuffing! 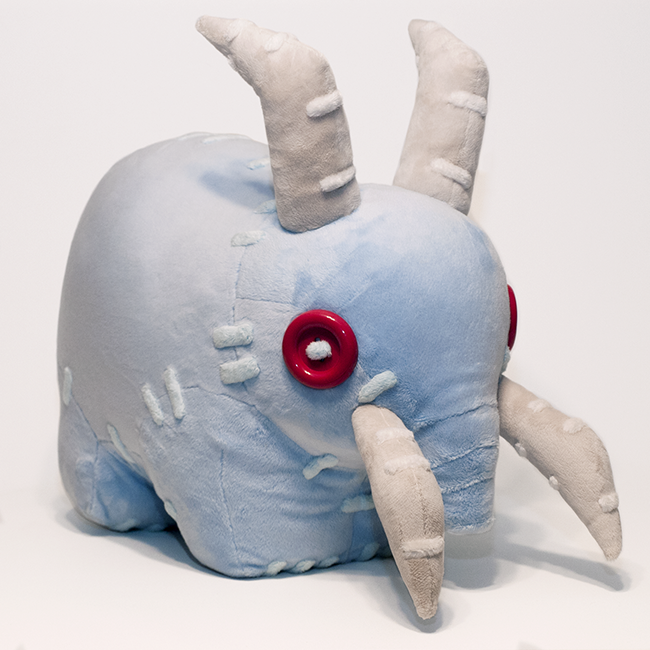 Please note that this is a fancier version of my original Elekk plushie, and this version comes with giant stitches, made from minky and carefully hand sewn to his body. This version also comes complete with a plastic squeaker in his trunk for added adorableness and accuracy! The stitches were quite time consuming to add, and the cost reflects this extra labor. 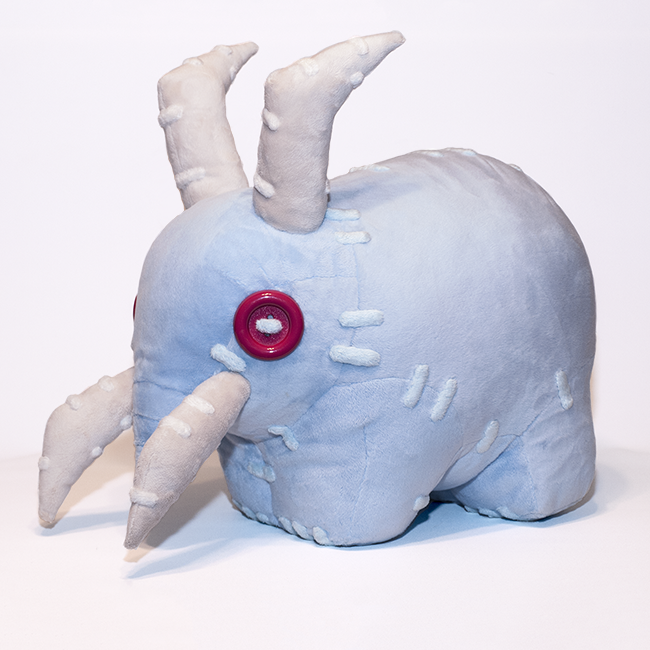 If you would like a simpler Elekk Plushie without all the stitch details or squeaker, I offer that style as well as a more budget friendly option (available here).